Do you want to find all your unused media in WordPress? Are you wondering about what “unattached images” means? Many websites have a number of photos that are not used in pages or posts. 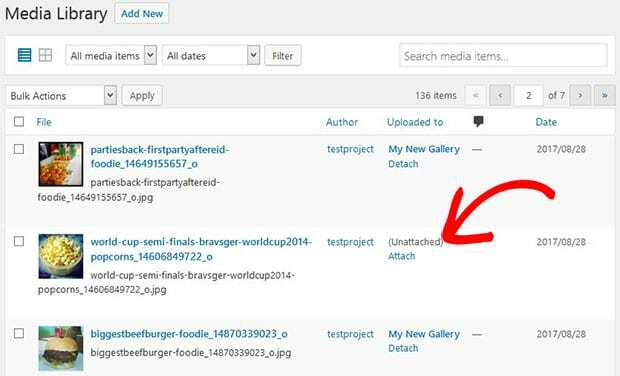 In this guide, we will share what are unattached images in WordPress. In WordPress, if you remove a page or post, it will not remove the images attached to that deleted page/post. The photos would still be available in the media library of WordPress as unattached images and can be used in other posts. Images that are used in WordPress posts, pages, template pages, image galleries and sliders are available in the Media Library. Simply go to Media » Library and see all the images. In the list view, it will also show you that which image is attached to which page or post. Images that are not used in any of the WordPress page or post will display as unattached in this option. You can also filter your library to Unattached. It will only display the images that are unattached to any page or post. 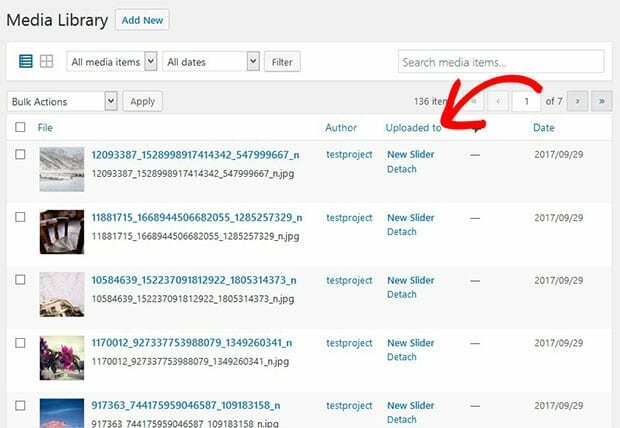 These are the possibilities to find your attached and unattached images in WordPress media library. You may know that where does WordPress upload images and how it takes space on your website. However, it is not recommended to delete all the unattached images. In big websites with hundreds of images, you can’t guess which image is used with which custom post type (pages, posts, galleries, etc) of your WordPress site. Though you can refrain from adding unused images in WordPress to speed up your site’s performance. 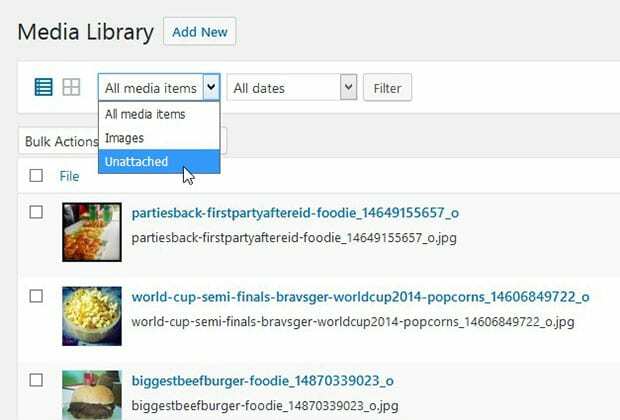 You can manually clean up your media library in WordPress to save more space by deleting the unattached media files. But, be careful not to delete images that are in use on your site, or it will display a broken image link. That’s all. We hope this guide has helped you to learn what are unattached images in WordPress. You may also want to check out our guide on how to save images for the web in Photoshop to speed up your WordPress slider. In case, your images are not ranking in the search engines, you should check this ultimate WordPress SEO guide. If you like this guide, then please follow us on Facebook and Twitter for more free WordPress tutorials and resources. It appears that Featured Images used in the blog roll (index.php) as a thumbnail are also marked as unattached. Is this correct or is this a theme error? Hi Harold 🙂 An image in WordPress only becomes “attached” if the image is uploaded to the post. If you upload images into the Media Library and then select that featured image that’s already uploaded, WordPress doesn’t count this as an “attached” image. This does not seem to be the case at all. I see numerous images that say ‘detached’, yet I go to the webpages that they are on, and yep, the images are definitely there… am I missing something in your explanation? If I delete the hypertext link in a page does the PDF linked to it become in attached? If not how can I find orphan PDF files which are not referenced anymore on the site?